Other than irritating forwards, sickly-sweet homilies and bawdy jokes, Whatsapp will now carry money. Many users have already received this update and are sending money over this messaging app. An official announcement is still pending. India is the largest market for WhatsApp with over 200 million monthly active users as of February 2017, reported PTI. Soon, they will be able to send and receive money while chatting on this app. However, to be able to do this, you must be able to make use of the Unified Payments Interface (UPI). If you have never used UPI, here is how you can set it up on your phone. Also, before you begin, ensure that the version of WhatsApp on your phone has this payment option. Open WhatsApp. If you use an Android phone, click the three dots on the top right of the app screen. In the pop-up that opens up, one of the options would be Payments. Click it. 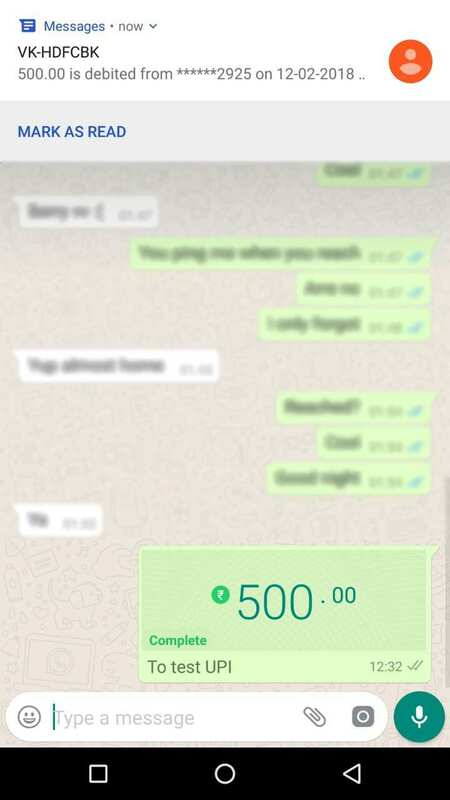 On the Payments screen, you will be prompted to link your bank account to WhatsApp. If you use an iPhone, the Settings option is at the bottom of the app. Click ‘Add new account’ option in the Payments screen. This will take you to the Terms & Conditions page. Once you accept these, you will be asked to verify your phone number. Provide the number that is linked to your bank account. The verification will happen over SMS. Once verified, WhatsApp will display the names of banks linked to UPI. Once you choose the bank, you will get the details of the account linked to your phone number. For security purposes, the entire account number will not be displayed. Typically, you would see the bank name and last four digits of your bank account displayed. If you have multiple accounts with the same bank, all of them will be shown. Choose the one you want to link to the app. Next, verify your debit card details, using the last six digits of your debit card and its expiry date. After you verify the details, you will be prompted to set up a PIN for UPI, and the bank will send you a one-time password (OTP) to do this. The OTP for doing this is usually a six-digit number, which will reach you over an SMS. In the next page, enter your OTP and your new UPI PIN. You will have to create a four-digit UPI PIN. After you create and confirm the PIN, you will get a message that your UPI set-up is complete. You will also get a confirmation via SMS. From here on, your Payments screen under the Settings option will display the bank details linked for payment. You can then start sending and receiving money.